Didn't do much on the second day. 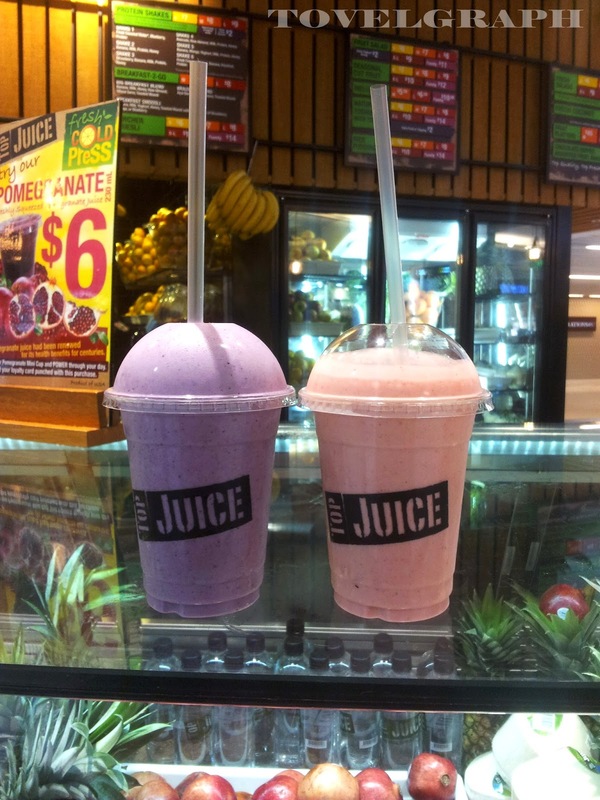 Woke up in the morning, went to the supermarket and since we didn't have much time left until the movie started, we just bought smoothies at Top Juice for our breakfast. Bought Blubana and Summer Set, like their Summer Set better, tasted so good and refreshing, and I thought that the small one must be not enough for me, but actually it was quite filling. After that we went to the city because my sister wanted to look for a dress for her graduation. 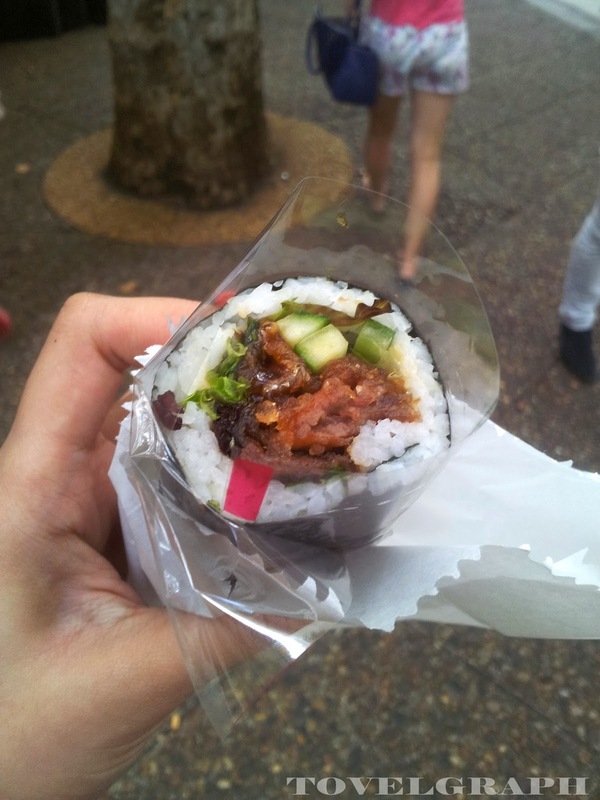 On our way back we went for Sushi Hub in QVB, love their sushi and it smells really nice too. Tried their california maki roll and their jellyfish inari, both were yumyum. Also tried salmon teriyaki roll at Sushi World, but I like Sushi Hub better, their rice was really good. In the afternoon we went to my sister's graduation, after that we walked to The Rocks and had dinner at Löwenbräu Keller, didn't take any picture since I went there with my sister's friends and we just met, so it was kind of awkward for me to took any pictures, but now I wish I took them. Oh well, regret always comes too late. If I'm not mistaken we ordered Chicken Schnitzel, Pork Knuckle and sausages. Like their Pork Knuckle the best, crispy and tasty, their mashed potato was also good.